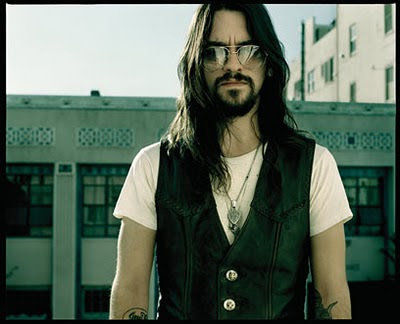 With his debut album in 2005, Shooter Jennings attempted to bring back the outlaw sound his father Waylon was famous for and "Put the O Back in Country." With his new release, "Electric Rodeo," he just wants his albums to show up under country in the record store. "We stripped the whole Americana thing out of it, and I love that," Jennings said. "It's not that I have anything against Americana, it's just not my style. 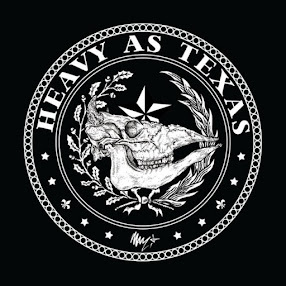 We got grouped in with a lot of the Texas music and a lot of alt-country, and I just wanted to be as far away from all those genres as possible — really confuse them and make them say, 'the only place this will really work is country.'" To that end, he's mixed his outlaw country heritage with his rock roots. "We tried to push the limits as much as possible by trying to make it loud and rocking when necessary and as old school country as we could, then try to mix the two," Jennings said. Jennings also recruited a local product, Oak Grove native Tony Joe White, to work with him on the song "Alligator Chomp." Jennings said White was good friends with his father, and he grew up around White's son Jody. Jennings and his band had written the music and wanted White to come up with the lyrics, but then guitarist Leroy Powell, who wanted the tune to have a message, presented them with lyrics they liked. "It's a satire of what the real world is, based around this little swamp," Jennings said. "We thought it was great, so we called Tony Joe and he came in. He was nervous, and we were nervous, but it came off good. It's actually one of my favorites on the album." Jennings grew up listening to rock 'n' roll and left Nashville at a young age for Los Angeles, where he performed with the band Stargunn. When his father died in 2002, Jennings took a break from music. He emerged from that break with the collection of songs that would become "Put the O Back in Country" and would bring him back to country music. But Jennings says he was headed in that direction before his father's death. "I got a little older and got a little sorrow under my belt — I heard somebody say that the other day, and I thought that was a great expression, to understand country music, you have to get a little sorrow under your belt," he said. "The lyrics just stand so stronger, and it's a much more personal, kind of journalistic way of writing as opposed to an avant garde rock way, where you're enigmatic or something. "I think him dying had the effect on me that I really wanted to grasp on to his roots and figure out where he came from more than I did before, but I don't think it was necessarily just that." Though rock is still a heavy influence in Jennings' music, he said he never really felt at home in front of the rock crowd. He's much more comfortable playing to country audiences. "I walked in front of an audience of rock fans and I did the 'woop-woop-woop' thing that my dad used to do, and nobody would get it," he said. "In front of a country audience, they'd all laugh. It's like that audience understands where I'm coming from better. When I speak to them, no matter what the music sounds like, they get it." Jennings' style has often found him sharing the stage with strange acts. He recalls opening for California punk rockers Social Distortion and the reaction the band got. "It was really weird," he said. "Our audience that was there loved it, but then there was this massive group of greasers that were totally like, 'what?' We won them over by the end of it, but you definitely know when you walk in if it's your crowd." He may be more comfortable sharing the bill with Southern rockers Lynyrd Skynyrd and 3 Doors Down on this summer's Double Trouble tour. It's a big tour, but just a small part of what Jennings and Co. have planned for the summer. "That's going to be great, but it's only 12 dates," he said. "We're headlining all year, and we've got all these great festivals we're playing. We've got a lot of fun. We keep working and working, and we've got another good four or five years in us before we take a break."